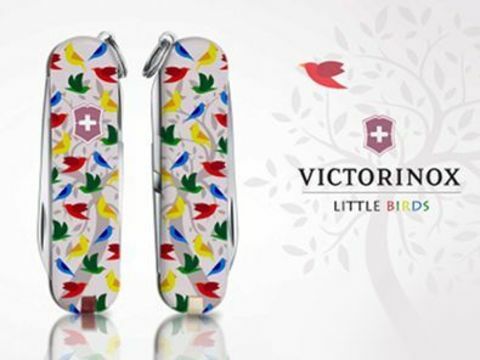 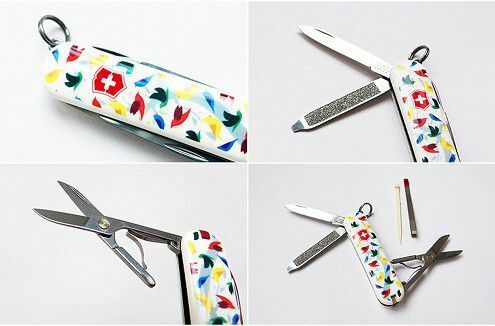 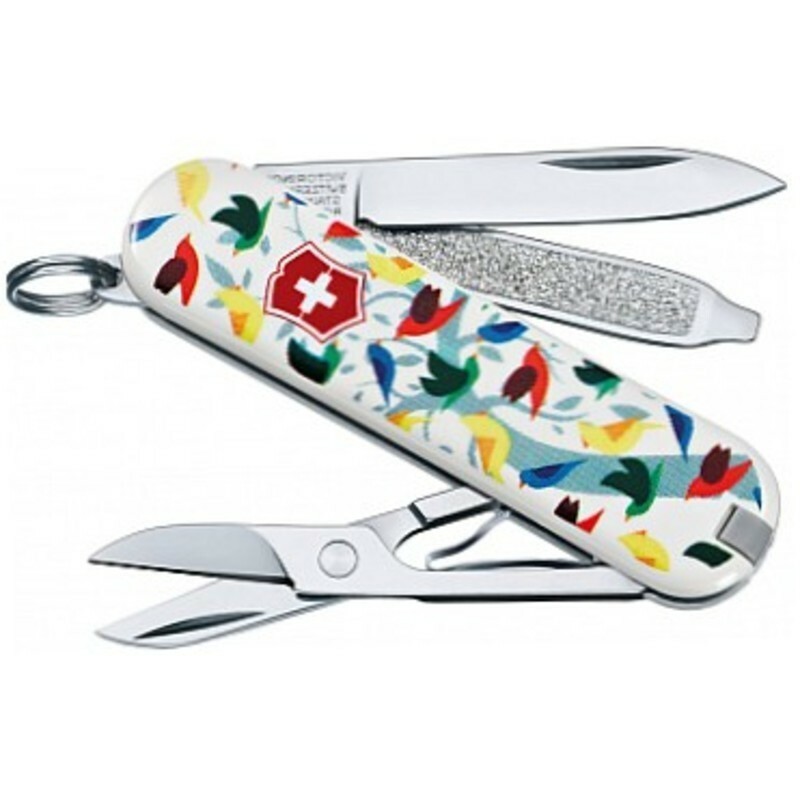 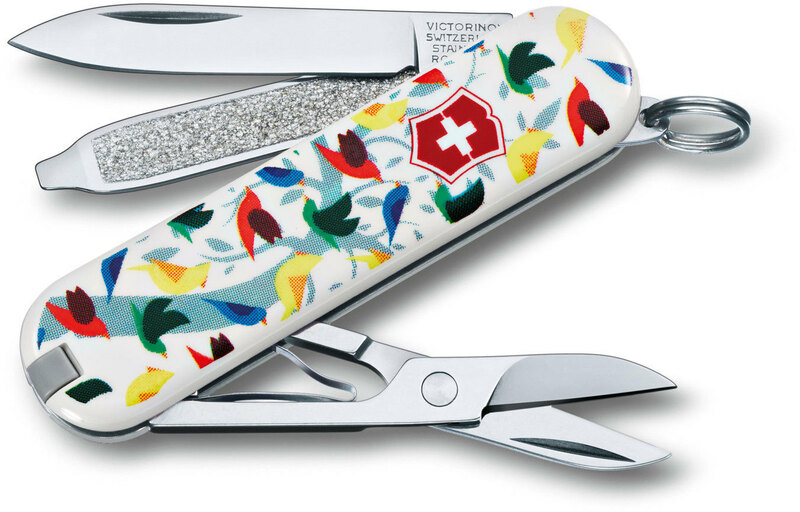 The design of the Little Birds Classic SD Swiss Army Knife by Victorinox was selected from among over 1,000 Classic SD designs submitted by Victorinox customers in response to a design contest in early 2013. 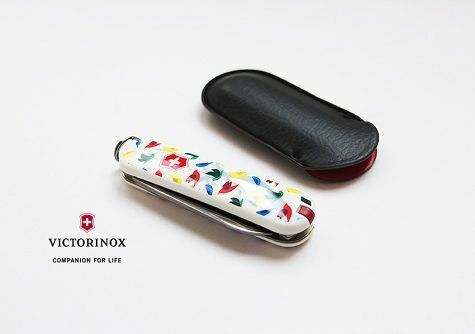 Ultimately, from the pool of entries from around the world, nine lucky designs were selected for limited production based on the votes of Victorinox customers worldwide. 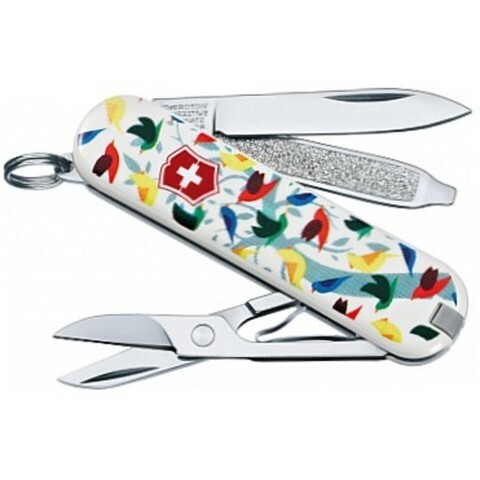 Beyond its unique, limited edition design, the Little Birds Classic SD packs essentials such as scissors, a blade and tweezers into a compact, eye-catching keyring, pocket or glove compartment tool.